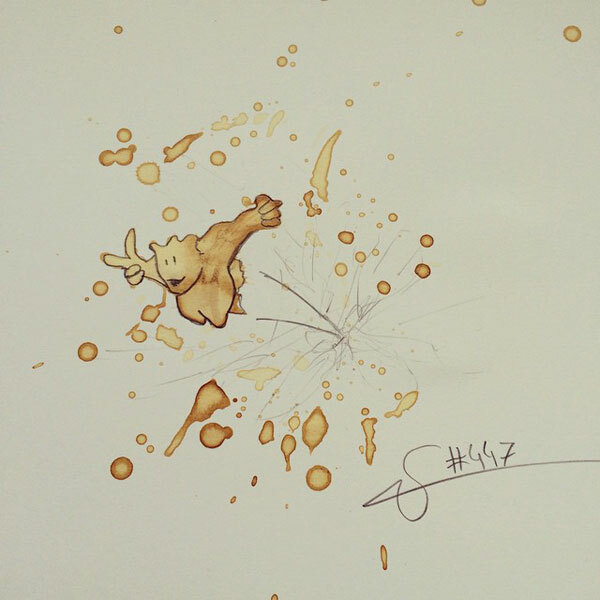 When spilling coffee, most people clean it up right away with an occasional curse word. 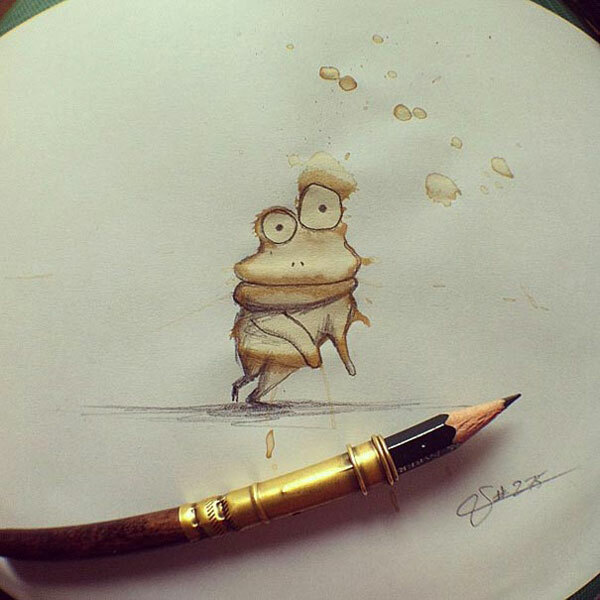 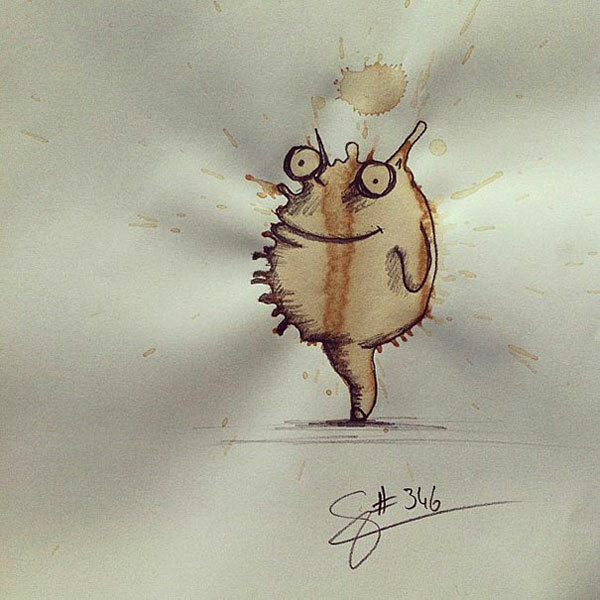 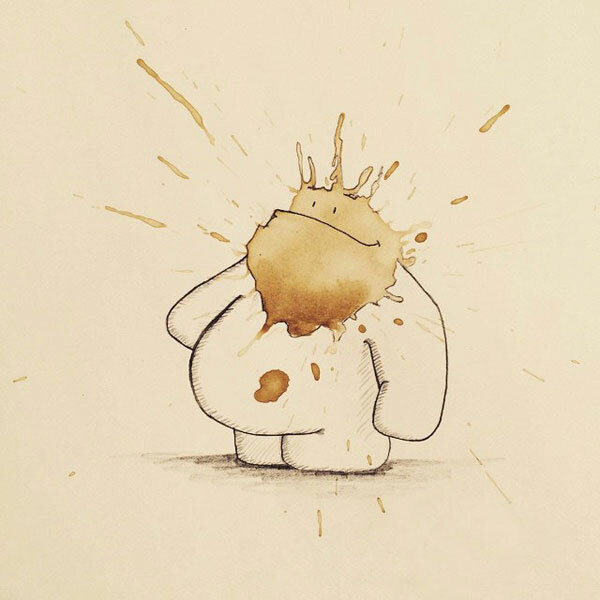 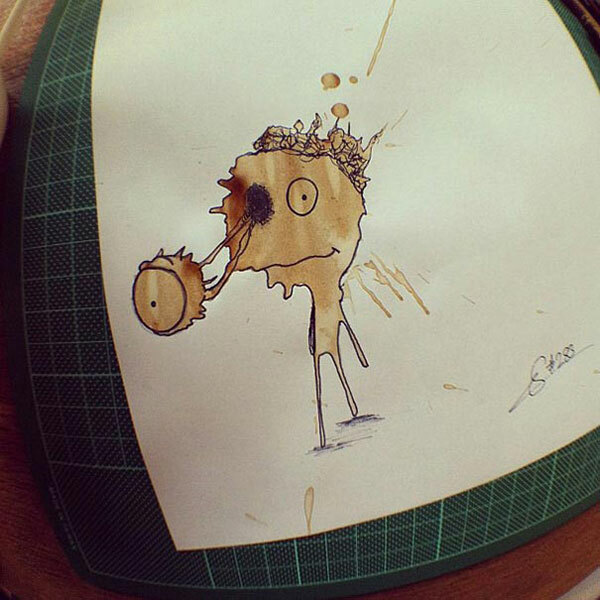 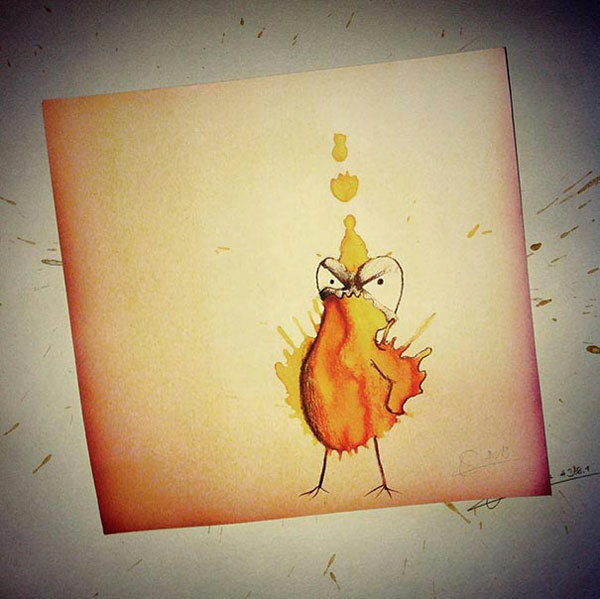 Stefan Kuhnigk, an artist from Germany, prefers to let it dry for a few hours, so he can create some little illustrated monsters with the spills. 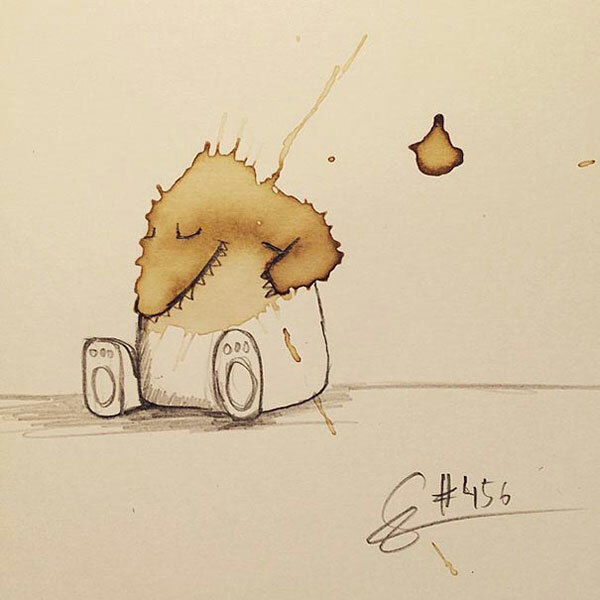 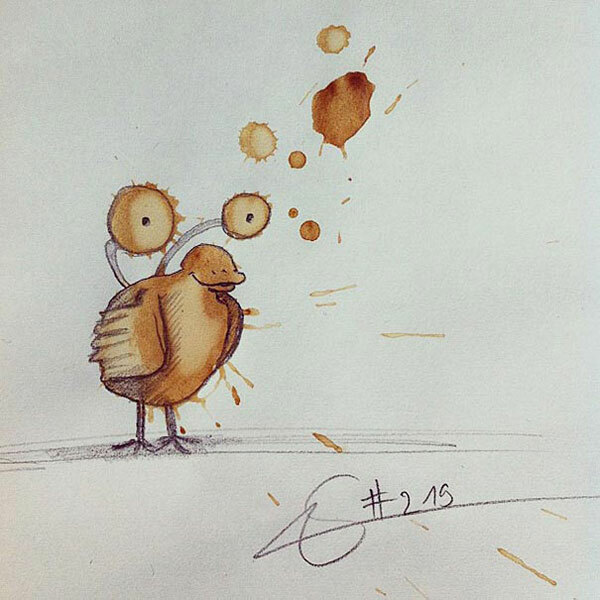 Now he even creates the coffee spills on purpose and selects the best to create his little monsters. 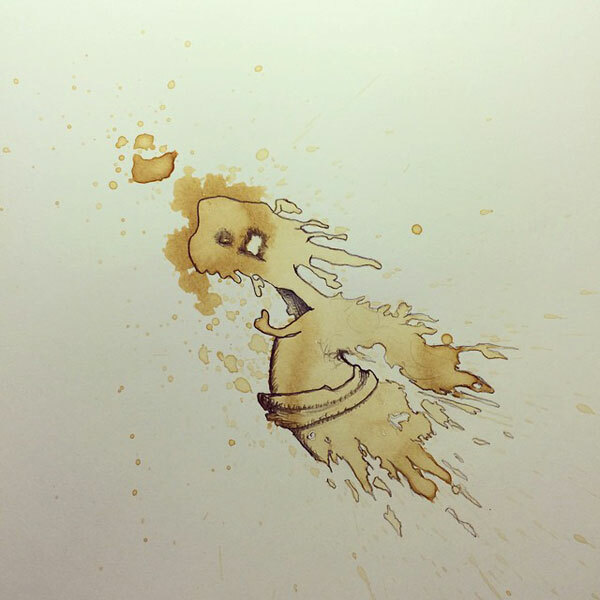 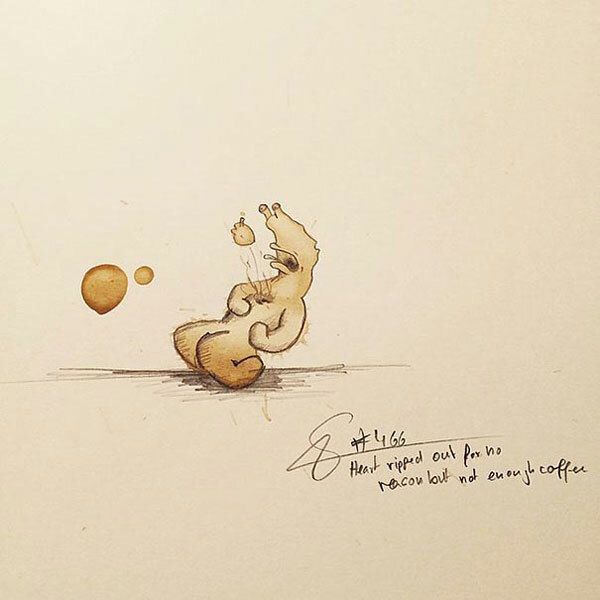 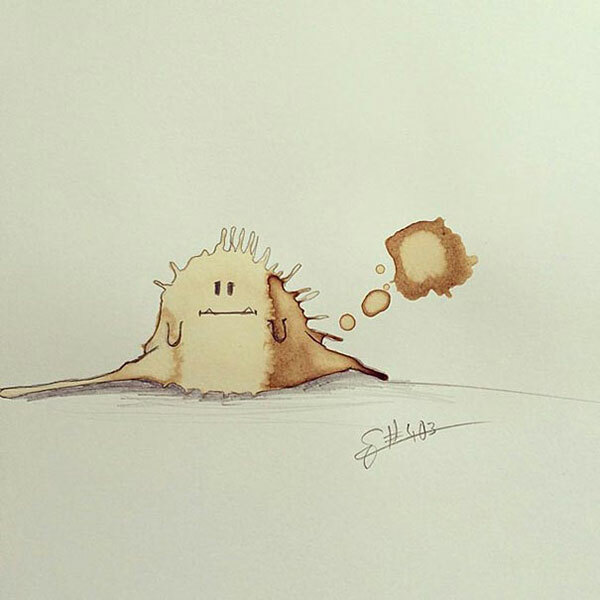 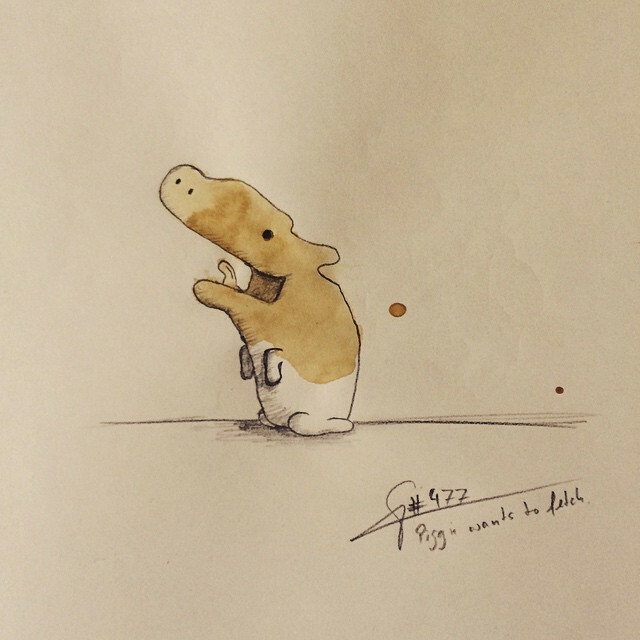 The randomness of the marks created by the coffee on paper make it a new challenge every time, but it also helps to design monsters that look different on each occasion. 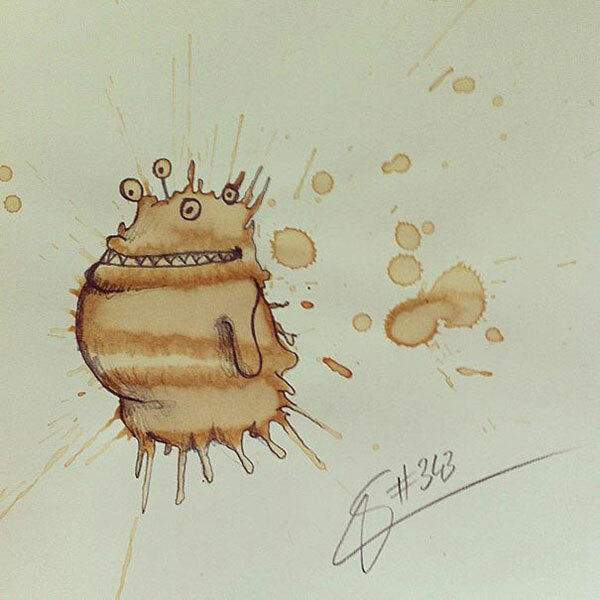 You can see some of his coffee monsters here, and follow new ones on his Facebook page.